Are you itching to update your Carlsbad home? 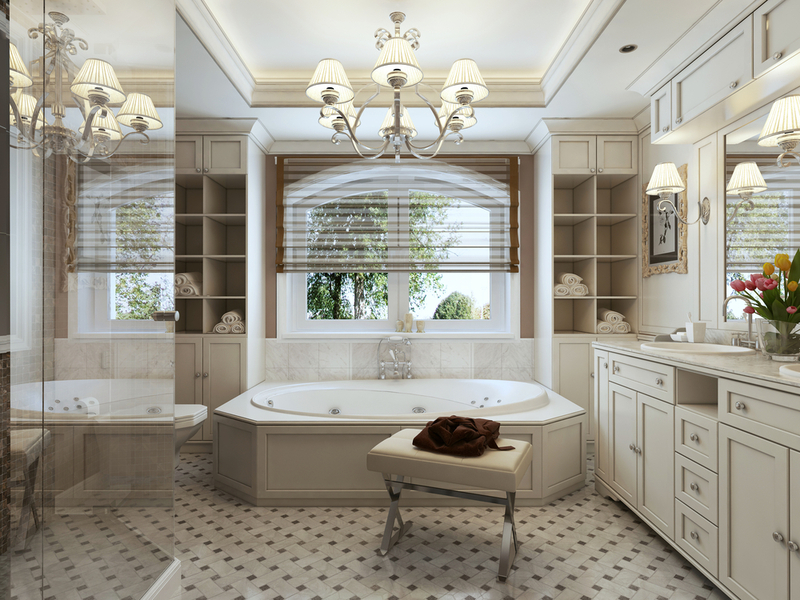 Consider adding a chandelier to your bathroom. 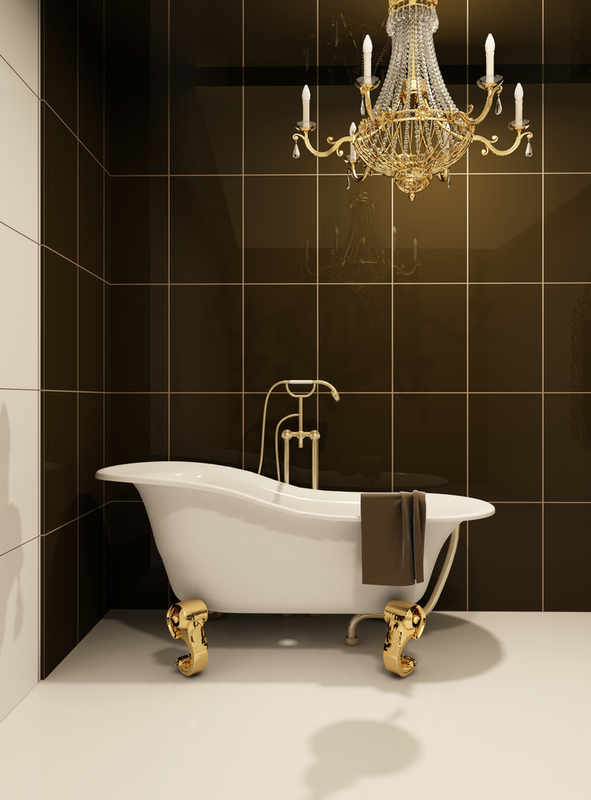 Of course, a free-standing tub, framed mirrors, frameless shower doors, full-body spray systems. heated towel bars and other touches are nice, but adding a well-placed and well-chosen chandelier can add immediate eye appeal to an otherwise blah bathroom. We have a pretty ordinary ceiling fixture over our La Costa master bath tub and I am on the hunt for a statement-making chandelier. Not sure whether to go shabby chic with a dangly crystal fixture, or something more subdued. The choices are many. It might also draw the eye away from our once-loved built-in tub. In the photo to the right I love the built-in shelves, shaded window, and painted cabinets. I also recall, years ago, when Julie Rodgers, a close friend in Big Bear Lake, suggested I add a glass-topped table next to the claw-footed enameled iron tub in our master bath. It was a touch recommended in the mid-1990’s by none other than Martha Stewart. I did so and loved the result. That little glass-topped table provided a great spot to put a glass of wine as I soaked my cold bones in the steaming-hot tub after a day on the ski slopes. It was also a nice visual touch. Note the bench by the tub in photo to the right. It might serve a similar purpose.